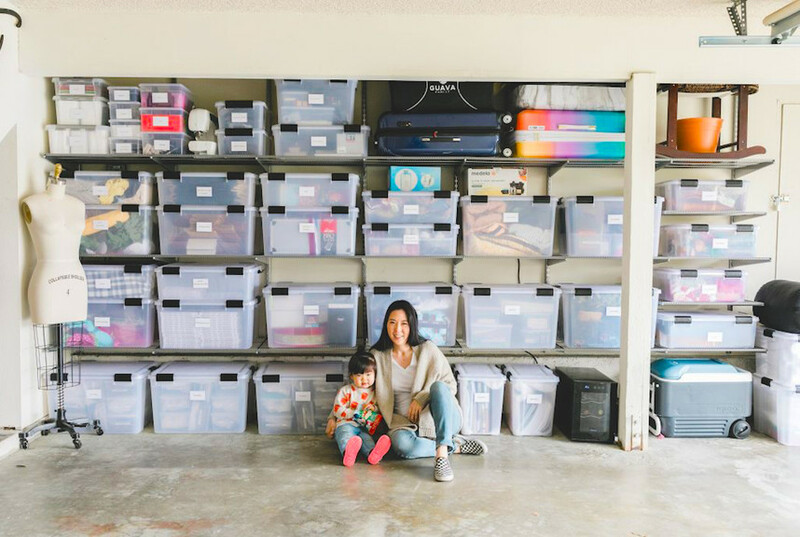 Tired of looking at a messy, unorganized garage? 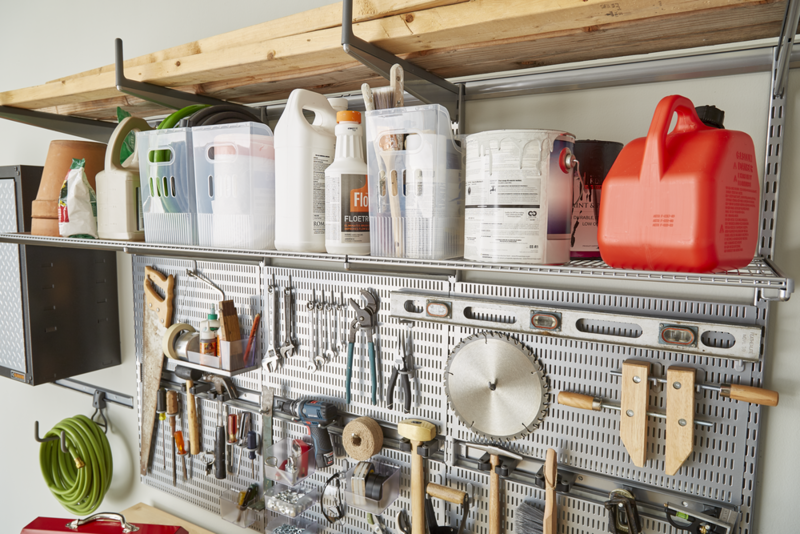 Done with digging for tools and hopping over cords, cans, planters and more just to get to your workbench? 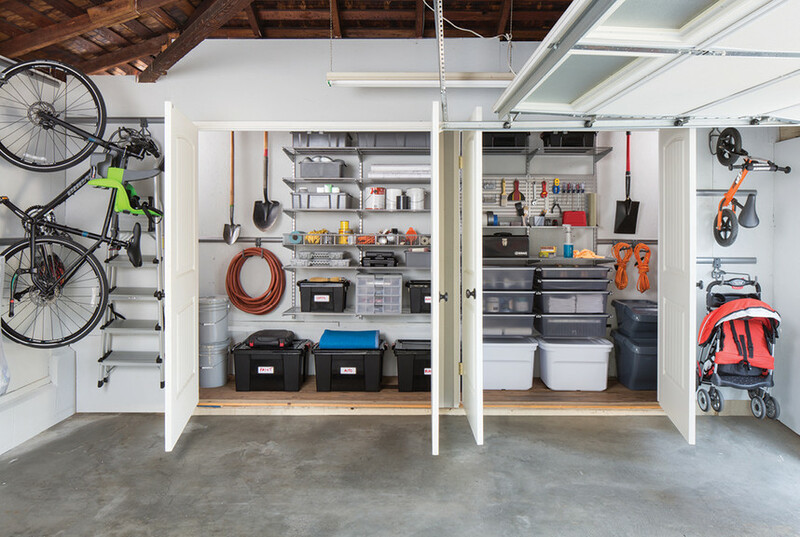 Worry no more, because the ultimate garage solution is finally here. 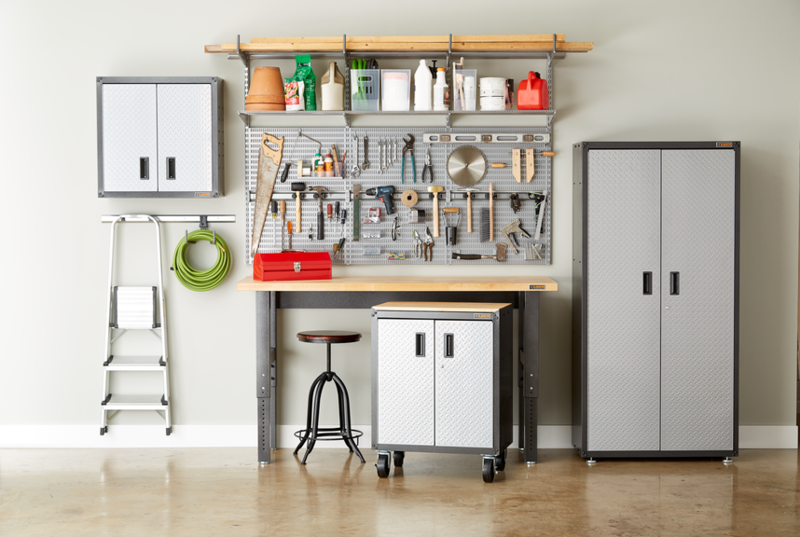 Our classic Elfa garage shelving can now be combined with our brand new Gladiator garage components to create a solution that's up to any task. Check out what makes Gladiator so special, and see how its components can work seamlessly with our best Elfa designs, below. All of our Gladiator solutions are made from weather-tested steel with solid-wood components and industry grade bolts and plates that ensure the long-lasting design. They're available in two finishes that can work simultaneously in the garage, utility room, laundry room and beyond. 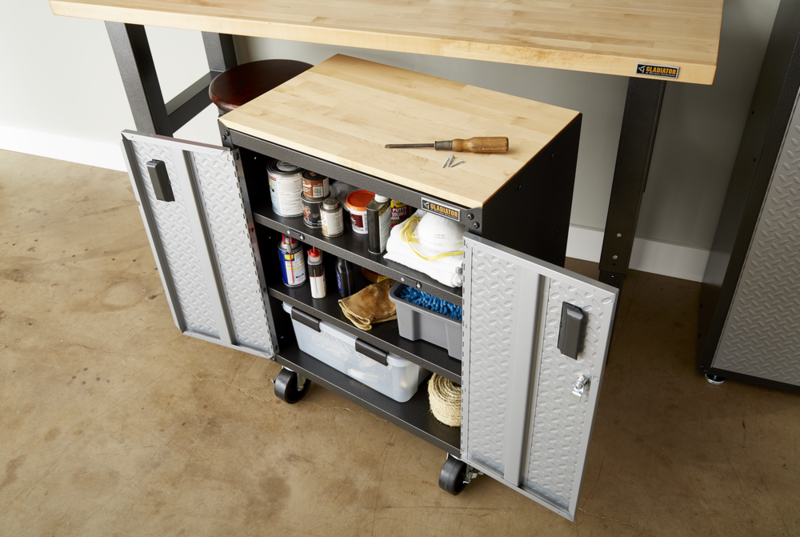 The Full-Door Modular GearBox provides storage for a variety of garage gear. It includes leveler feet adjust to uneven floors, and nylon pads prevent floor stains and corrosion. The optional Caster Kit supports up to 300 pounds and features locking front casters and swiveling rear casters for complete mobility. Our Gladiator Solid Hardwood Workbench is a best-selling essential for several reasons. Each workbench is strength and load tested at four times its rated weight capacities - meaning it's stronger than even we can fathom and designed to last as close to forever as possible. The Solid Hardwood Workbench features a hardwood top with a UV-cured coating for lasting beauty and durability. Its heavy-duty, welded steel legs are accentuated with a hammered finish, and the Full-Door Modular GearBox fits perfectly underneath. 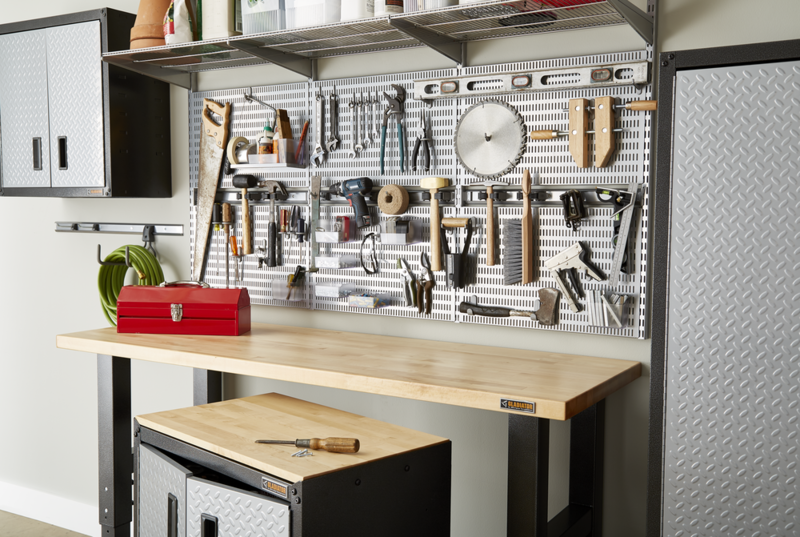 Each workbench supports up to 3,000 pounds and is adjustable in height measures from 29 inches to 42 inches depending on what you need to store above or below. 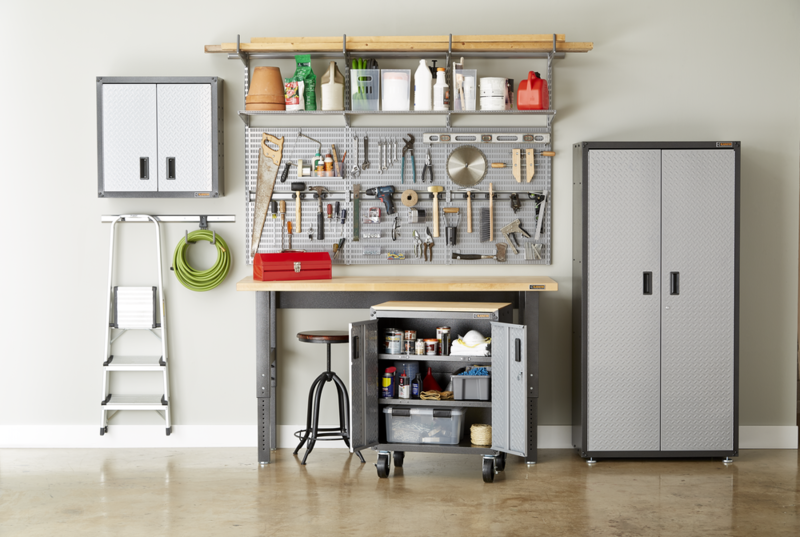 Elfa Ventilated Shelving combined with a series of Elfa Utility Boards allows you to create the free workspace you need to get your tasks done while also organizing your essentials in an open and easily accessible place. 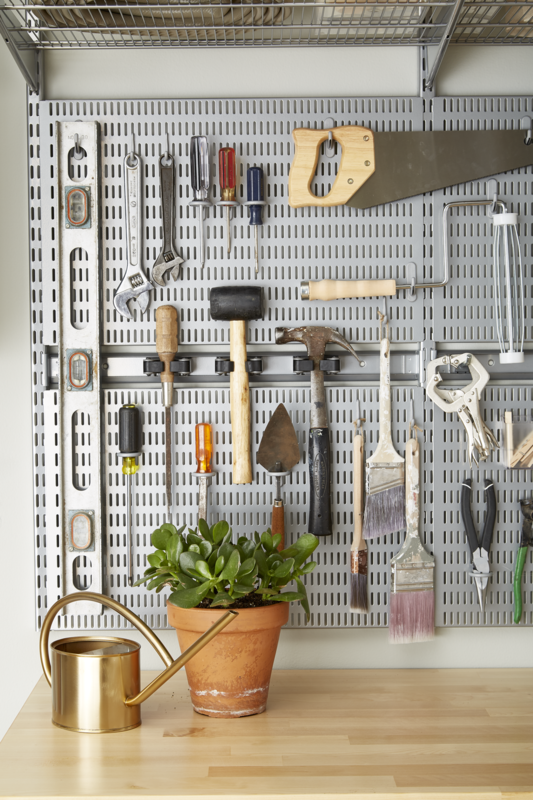 Use Hooks, Bins and Boxes to organize everything from large tools to small nails, ties and more and let your Gladiator Solid Hardwood Workbench do its best work. 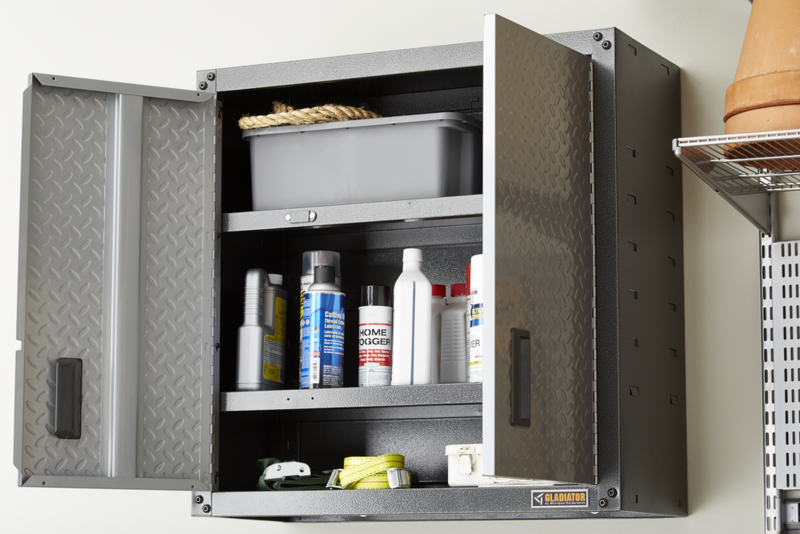 Our Gladiator Full-Door Wall-Mounted GearBox is ideal for storing your smaller tools, automotive supplies as well as woodworking tools and supplies. Its two fully-adjustable shelves have six placements for storage flexibility and an ingenious magnetic design keeps the doors shut when you're not accessing the contents. With Gladiator and Elfa, it's easy to take that underutilized space and create a place to work, garden, prep and park for good. Plus, both are on sale now for a limited time!